If you know leave you answer in the comment box below. I will pick a random winner from all correct entries on Tuesday morning, and they will go on to the ‘Winners wall’ for the month. At the end of the month those on the wall will be entered into a draw to receive a prize. The prize for November is a set of my brand new coasters. These are the first coasters I have had made, printed right here in Scotland. Each one is a premium glossy 9cm x 9cm hardboard coaster, the colours really pop and they are great quality. 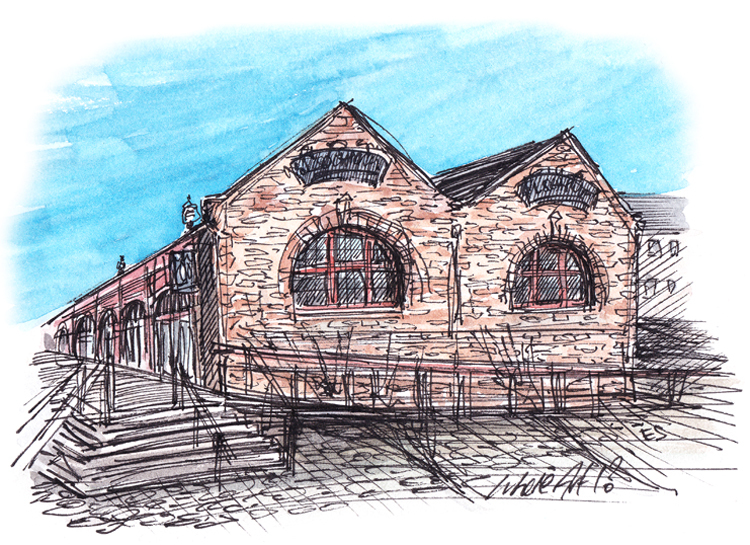 #WhereArtI 26th November: This is the Loch Fyne Restaurant building in Newhaven, previously Harry Ramsdens of course. Once the Newhaven fish market the building dates back to the 1890s and is now home to a number of great restaurants. Kim Cosh was randomly picked from the correct answers to go into this month’s draw for a set of my new Edinburgh coasters. More next Monday!